The no 1. 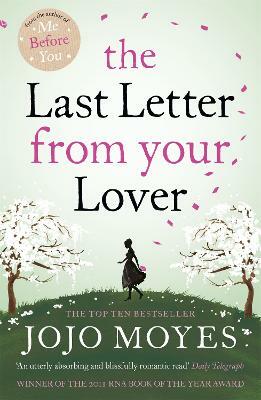 New York Times bestseller from the author of Big Little Lies and new novel Nine Perfect Strangers. 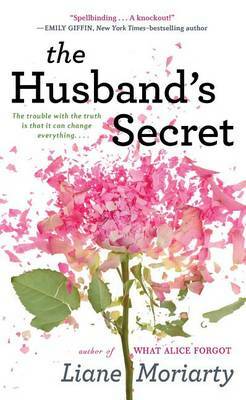 "For my wife, Cecilia Fitzpatrick, to be opened only in the event of my death"
The Husband’s Secret is the fifth adult novel by Australian author, Liane Moriarty. It is early evening on the Monday before Easter, 2012. 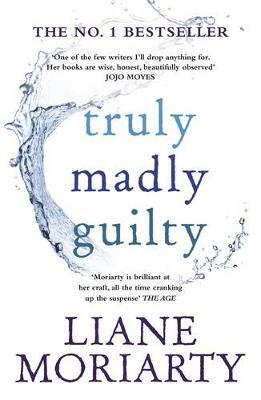 In Sydney, widowed secretary of St Angela’s Catholic Primary School, Rachel Crowley, still grieving the daughter she lost nearly thirty years ago, is dismayed to learn that her son Rob, his wife Lauren and her dear little grandson, Jacob will be moving to New York. 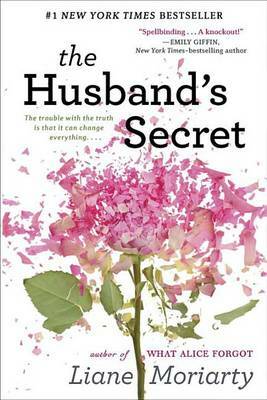 Cecilia Fitzpatrick, Tupperware agent and busy school mum with three daughters at St Angela’s, accidentally comes across a letter, addressed to her, from her husband, John-Paul (currently in Chicago for work), in a sealed envelope, intriguingly labelled “to be opened only in the event of my death”. 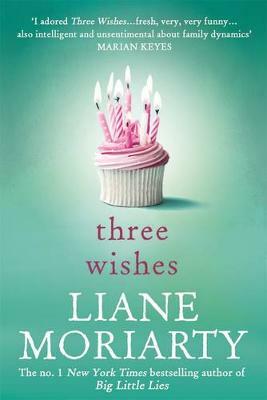 In Melbourne, happily married Tess O’Leary, mother of Liam, is stunned when her husband, Will and her cousin and best friend, Felicity tell her that they have fallen in love with each other. Over the next six days, there will be unimaginable changes in each of their lives, lives that will intersect to culminate in a dramatic climax. As Cecilia tries to resist the temptation to open the letter (“She considered tearing it open right that second, before she had time to think about it, like the way she sometimes (not very often) shoved the last biscuit or chocolate in her mouth, before her conscience had time to catch up with her greed”), Moriarty tantalises the reader with several possibilities before the contents are eventually revealed. Cecilia had lately been wishing for a bit of excitement in her ordinary life: the admonition: “be careful what you wish for…” was once again upheld. 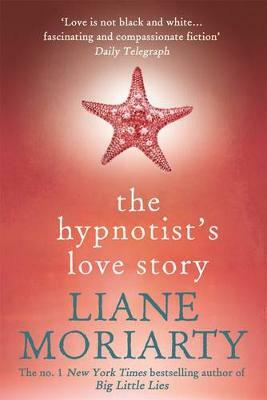 Moriarty once again gives the reader characters that are easy to identify with, leading their fairly ordinary lives in a setting that is reassuringly familiar. 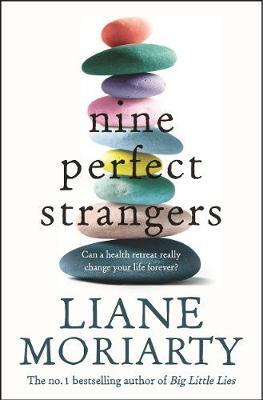 None, however, is quite what they first appear; each has their faults and imperfections, and everyone has a secret (or two): some are mundane, some are funny, some will leave the reader gasping. 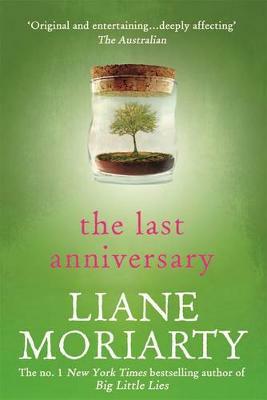 Moriarty is not afraid to tackle a dark subject and puts her characters into situations that will have the reader pondering, long after the last page is turned, on how they themselves would react when faced with such a dilemma. 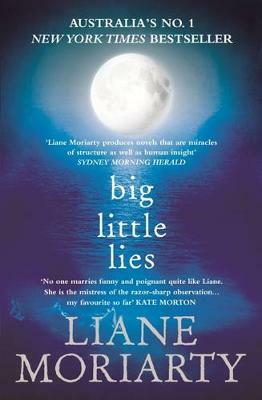 Events and circumstances in her characters’ lives emphasise that, in life, nothing is black and white. Shame, pride, vanity, grief, fear, guilt and revenge all variously dictate the behaviour of the characters; tragedy, irony, coincidence and circumstance also play a part. 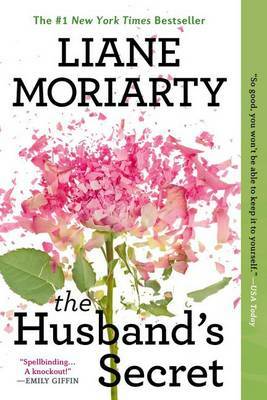 Moriarty gives the reader some marvellously descriptive prose: “She didn’t feel angry yet. Not really. But she could feel the possibility of a fury worse than anything she’d ever experienced, a simmering vat of anger that could explode like a fireball, destroying everything in its vicinity”, also “A steady stream of suggestions ran silently through her head like those snippets of news that run along the bottom of the TV on CNN” and “It was like fishing. It took silence and patience. (Or so she’d heard. Cecilia would rather hammer nails into her forehead than go fishing.)”. 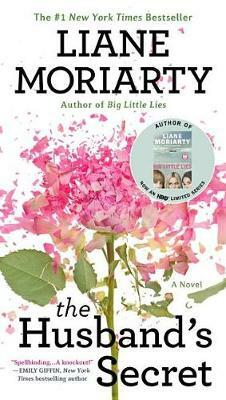 Each book by Liane Moriarty seems to surpass the last and this one is no exception. This is a brilliant read: as well as being intriguing and thought-provoking, it is also humorous (often blackly so) and quite moving. 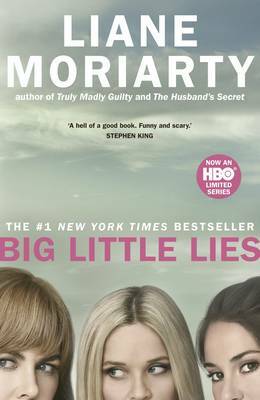 Readers will look forward to Moriarty’s next title, Big Little Lies.